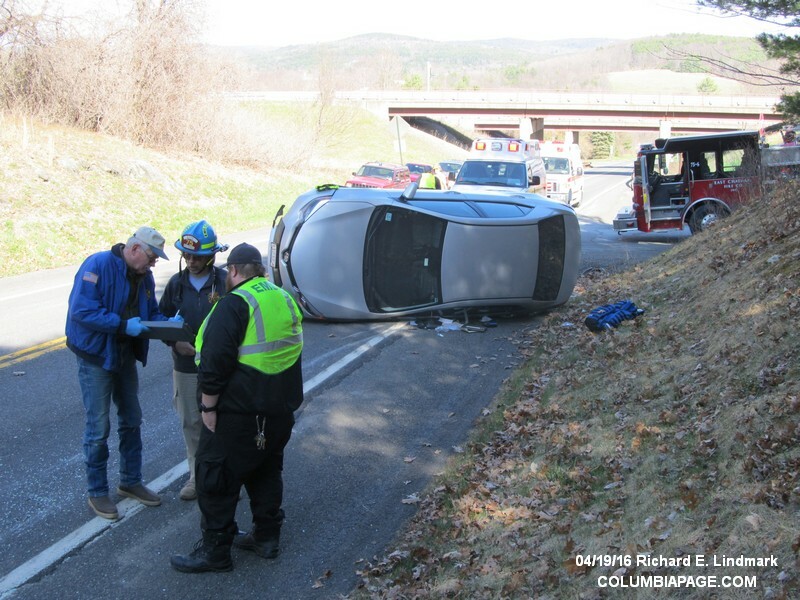 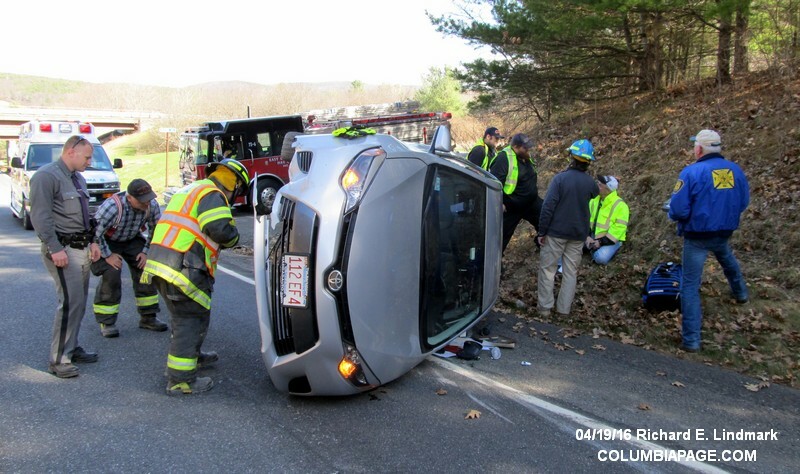 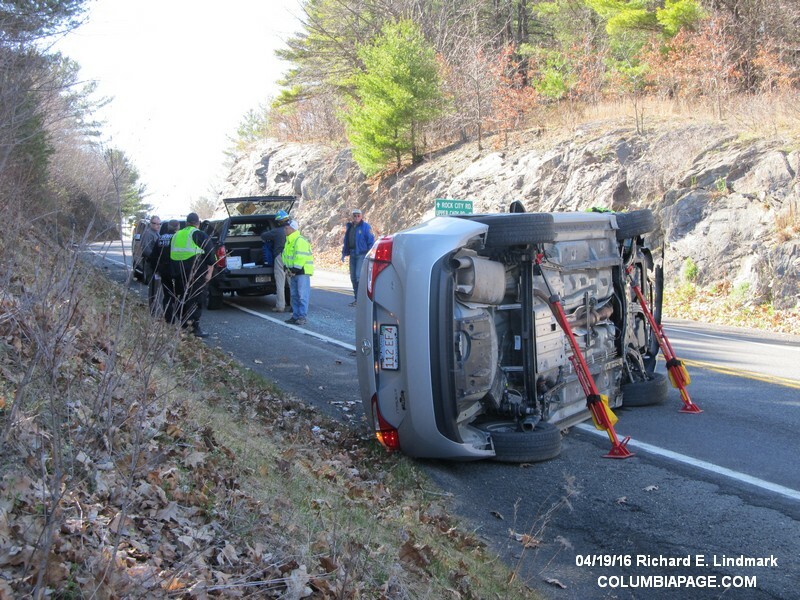 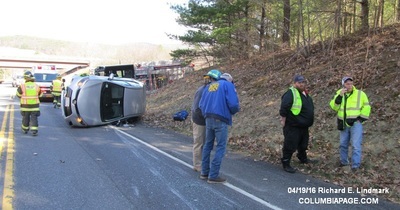 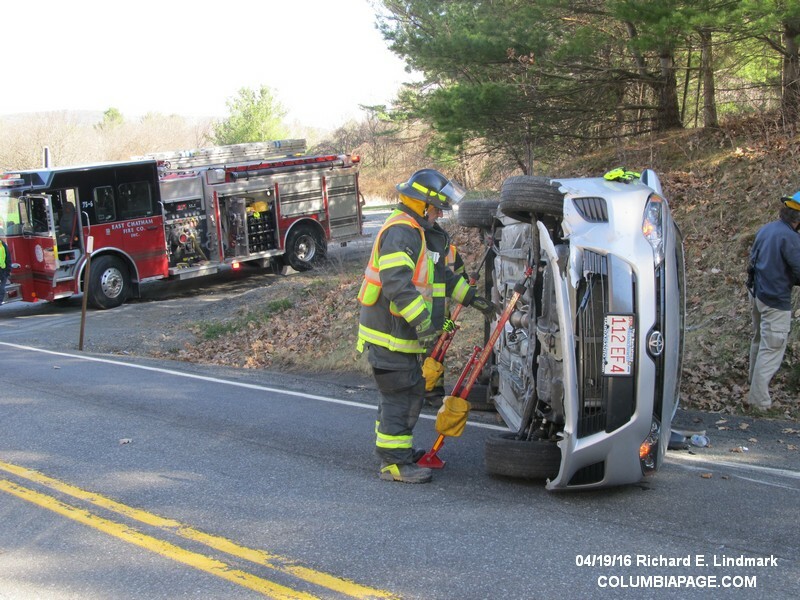 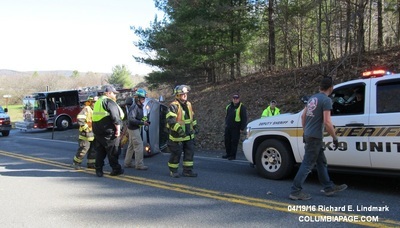 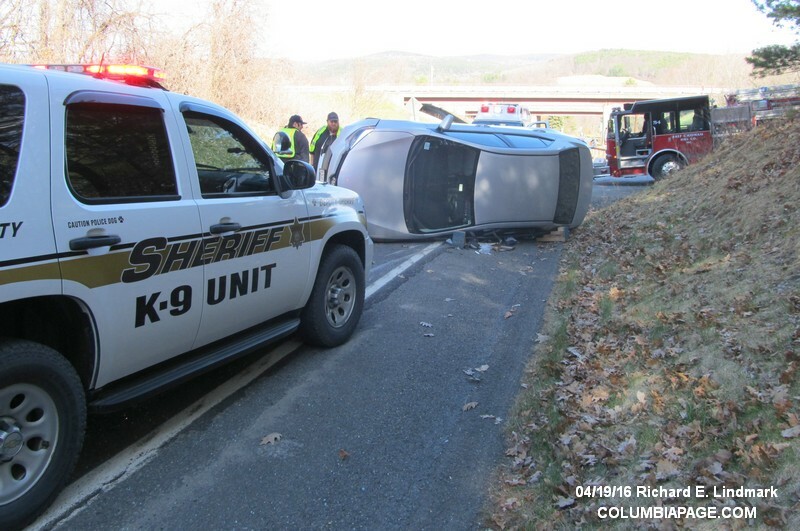 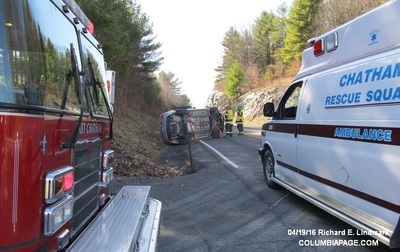 Columbia County 911 dispatched East Chatham Firefighters and Chatham Rescue at 4:04pm for a one vehicle accident on Rock City Road near the intersection of Alessi Road in the Town of Chatham. The vehicle ended up on its driver side. 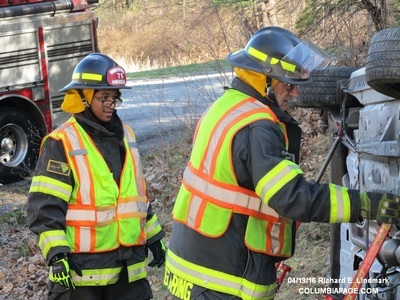 East Chatham Firefighters were back in service at 4:49pm.